K.C. 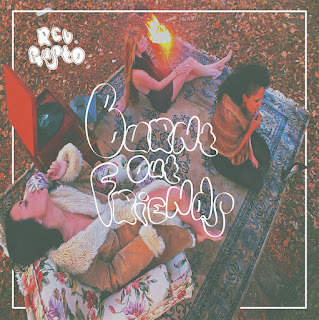 garage-pop band Rev Gusto released their stellar debut album, Burnt Out Friends last year on High Dive Records. In support of the album, they are coming to Ohio for a few dates including stops at The Comet in Cincinnati on Friday, June 10 and South Park Tavern on Saturday, June 11. Sharing the stage both dates is the Dayton-based indie rock band Forage. Rev Gusto creates infectiously catchy and laid back 60’s-inspired pop songs that recall the sun-streaked harmonies of The Beach Boys and the raucous garage-rock of The Kinks and the results are not some tired, retro-minded rehash but is near-perfect pop pleasure without the pastiche. Forage will showcase their guitar-led folk-leaning brand of indie-pop led by frontman Brandon Clark’s slickly sensitive, Ben Gibbard-like vocal melodies.